Heading into the new school year, I was looking forward to the fun of seeing back to school photos on social media and how the kids have grown. Fun, that is, until the first day of school rolled around and my oldest son made me promise not to post his photo…evidently, that’s not cool. His first day of high school, a serious milestone, and NO PHOTO, booo! And that wasn’t the only thing that was different about the first day of school this year; the minute he got out of the car, full-on water works as I watched him enter the campus gates with no fear, no looking back. I actually felt like a piece of my heart went with him. After attending the same small school for 9 years, he’s part of a class of 500. Why is it that he’s super excited and I’M the one who’s terrified? Terrified not because I’m afraid he will make bad choices, but because it hit me that he’s only home for four more years. Terrified because time is moving oh so fast. Terrified that his brother is only one year behind him. Terrified that he will be driving soon. Terrified that he may not need me as much anymore! He’s just entered this whole new world which, aside from some limited volunteering and watching sports on campus, a large part does not include me. That was a tough moment, though a moment it was, as I felt much better after a walk to clear my head. Only two hours later that same day, I got a text message from him: “Mom, I forgot my cleats and mouthguard for football. Could you please bring them to me? I’m sorry.” I have never been so excited to get a “mom I forgot text!” Not needing me lasted a whole two hours. I proudly drove him to his second day of school the next morning. They have early dismissal on Mondays – 1:15, and he has football practice at 3:00. Before he got out of the car he asked, “mom, do you think you could pick me up for an hour or so in between.” My answer, “sure,” but inside I was thinking “you bet!” Now, it may seem like I need to get a life and that I’m clinging to these moments, but here’s the thing….I’m blessed to have the flexibility of working from home, allowing me to set my schedule around my kids. I’ve been fortunate the last five years to have been truly present for my boys, but still have a great life outside of theirs. I don’t need to figure out what’s next for mom. Lot’s of moms go through this. They have either stayed home to raise the kids or they were like me in my previous career, where I missed so much and in the blink of an eye, they’re grown. Moms Making Six Figures has given me that balance to be the best mom I can be, but still have a thriving business that’s all mine. I’m so grateful. Being a mom is the greatest joy of my life. I will cling to every one of these moments that I’m needed. The more things change, the more they stay the same. God help me when they leave for college. About the author: Until being introduced to Moms Making Six Figures, Kara spent 21 years in the media business in roles ranging from sales, marketing and ultimately, upper management. During that time, she routinely worked 50+ hours per week away from home and, with today’s technology, was always tethered to the “electronic leash,” even when not at work. Her husband travels extensively for business and they reached the point last year when they both decided that “something had to give.” As a result of Moms Making Six Figures, she has now found true balance in her life. 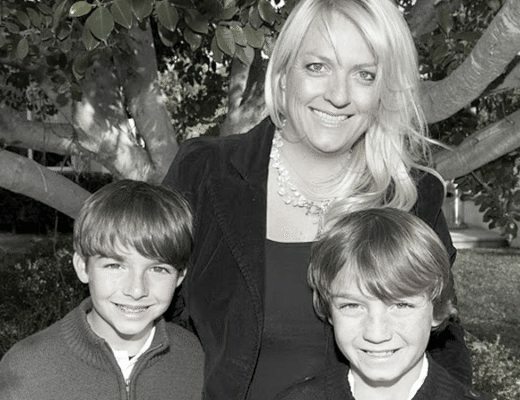 Her children are thriving because not only is she able to be there for them, but she is a happier, calmer version of herself. She has always loved being a mentor in business and now she gets to show other women how they, too can have it all.